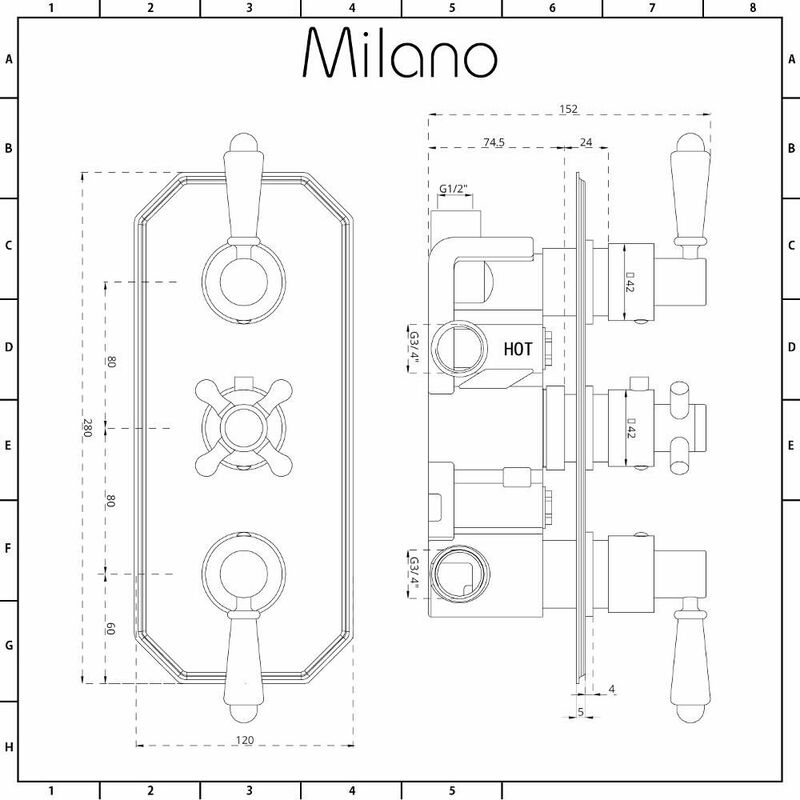 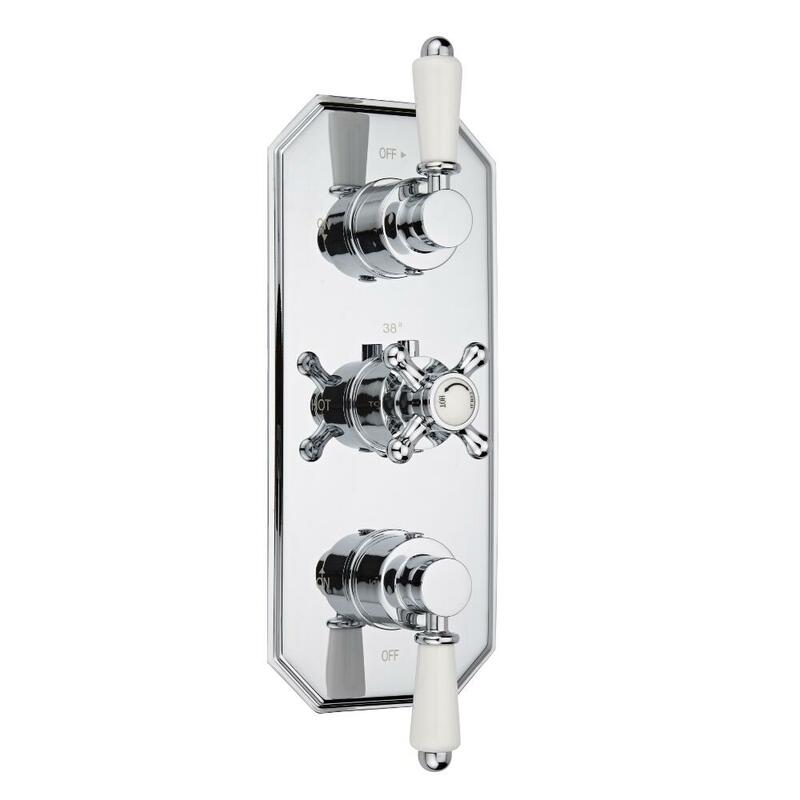 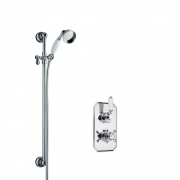 Enhance your traditional bathroom or en-suite with the Milano Victoria concealed thermostatic shower valve. 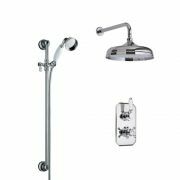 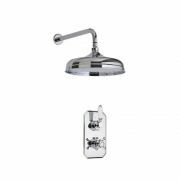 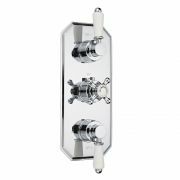 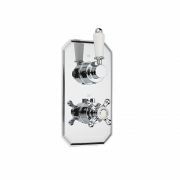 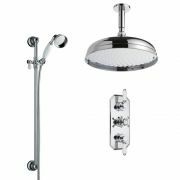 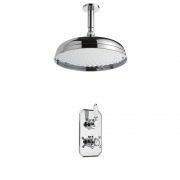 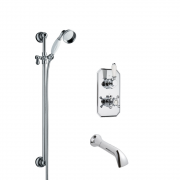 Featuring an elegant design and a chrome finish, this thermostatic shower valve with diverter supplies water to three separate outlets such as a fixed shower head, body jets and a hand shower. 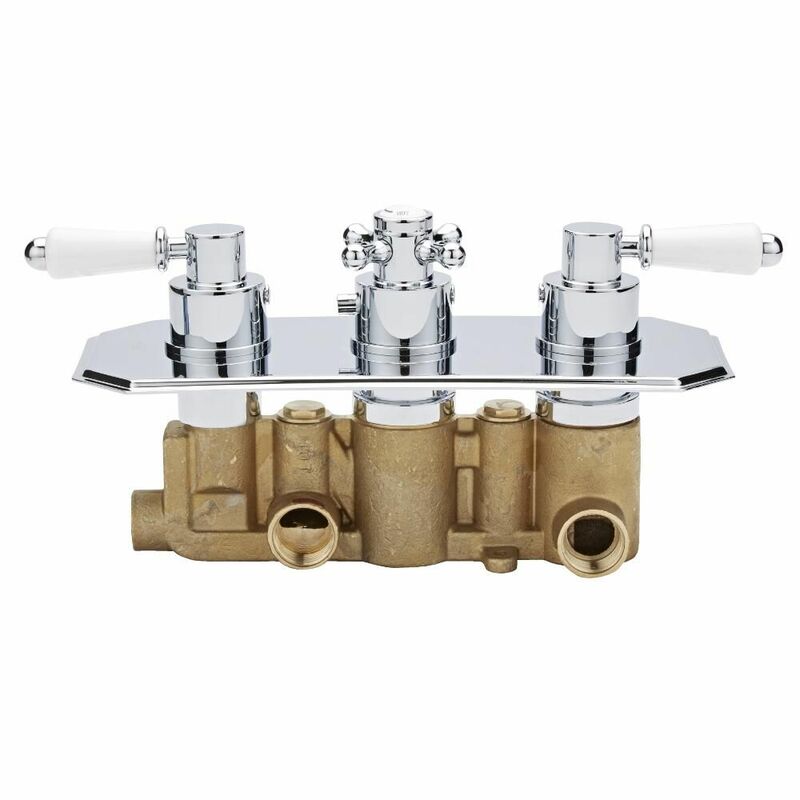 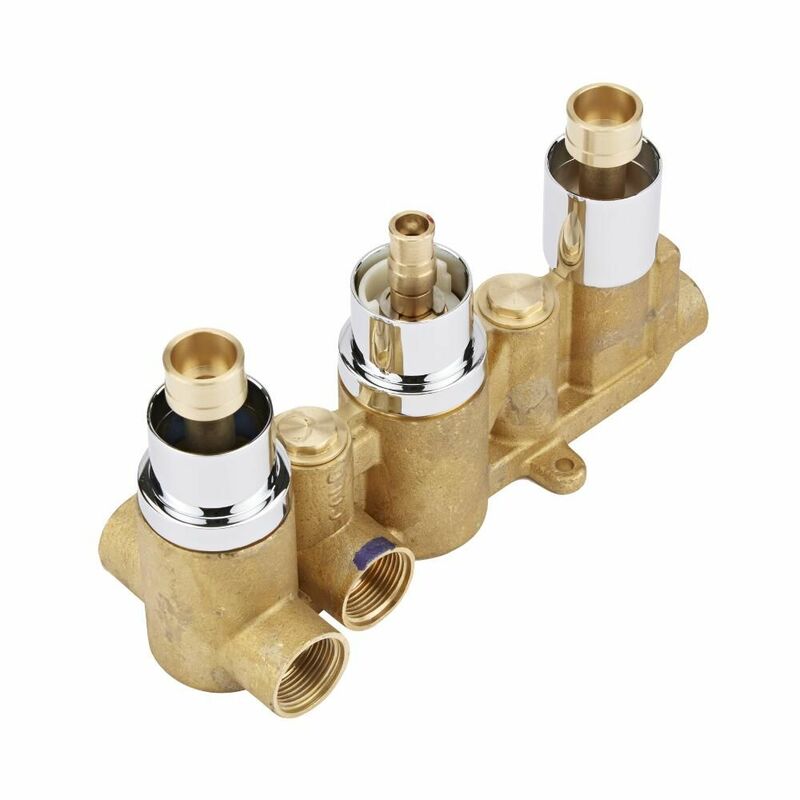 Made from solid brass, this TMV2 approved shower valve incorporates anti-scald technology to ensure a safer showering experience. 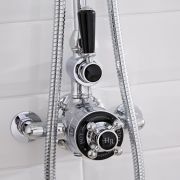 It also features ceramic disc technology to prevent leaks and drips.